Getting out into the garden and implementing some DIY is the perfect way to connect yourself to your home and to your own home improvement personality. Oh, the joys of having your own garden. Knowing that, just beyond those doors, is a lush and green space filled with fresh air and delectable scents. Of course enjoying a beautiful garden means you have to put in the work and dedication required. And that is where we come in. Here on homify we just love dishing out style tips and DIY advice, whether it’s for your kitchen furniture, bathroom layout, or garden décor. And today, we hear you loud and clear when you say that you hit a brick wall in terms of gardening ideas. Well, fear not, because we have a handful of stylish ideas that may just be the thing to transform your neat and green space into a stunning and striking oasis! No two gardens are ever the same – a very true proclamation! Although it states the obvious, it also means that just because your neighbour’s garden looks stunning with big and loud elements does not mean that omitting those large things from yours will make it look boring. Nobody expects you to fill your garden to the brim with gigantic pots and majestic decorative items. Beauty can just as easily be found in the smaller items, like plant pots. Opt to include a handful of smaller pots in your garden, whether they be stone or terracotta. 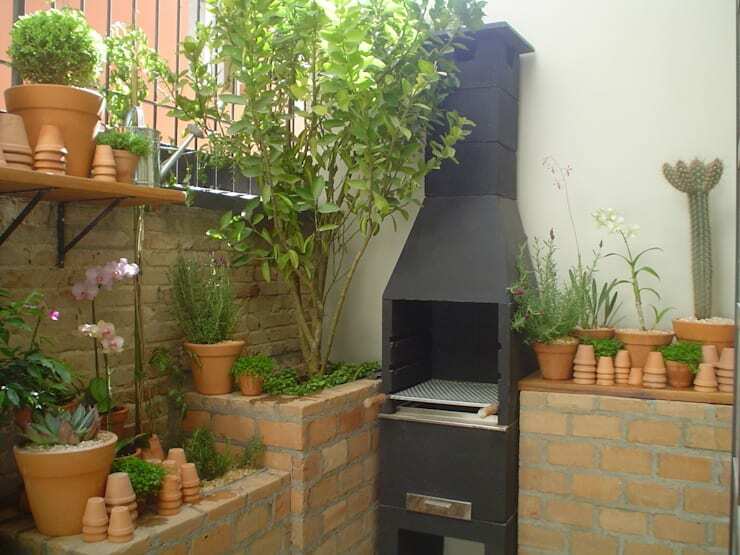 Filling them with sweet-smelling flowers and fresh plants will definitely make a stylish statement about your garden. Come closer, as we’re about to share with you: The secrets of a beautiful garden all year round. What’s the use of having a beautiful garden if you can’t enjoy it – or show it off to your friends? 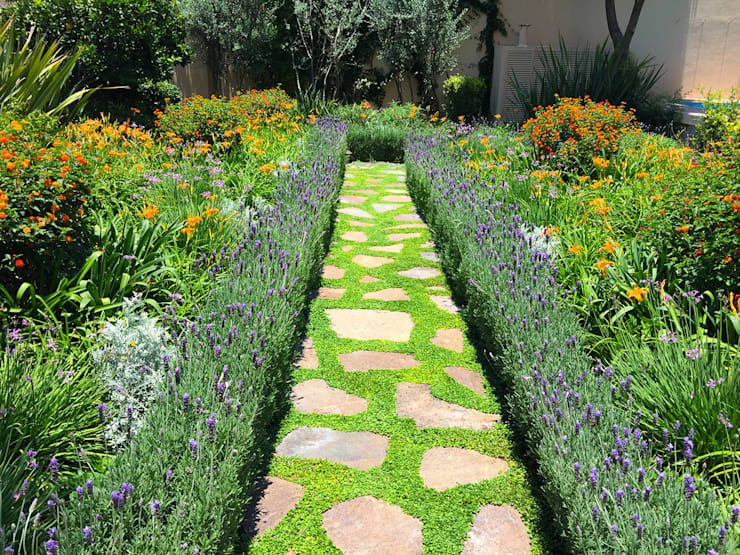 That’s where a garden path comes in, which will allow you to come in close contact with those stunning flower beds and garden décor you so painstakingly worked at and paid for. But garden paths not only mark the safe places for walking; they also give your garden a sense of completion, dimension, and charm. Your garden path can become a kind of artwork in your green space, focusing the eye downward and then ahead, as well as directing traffic. 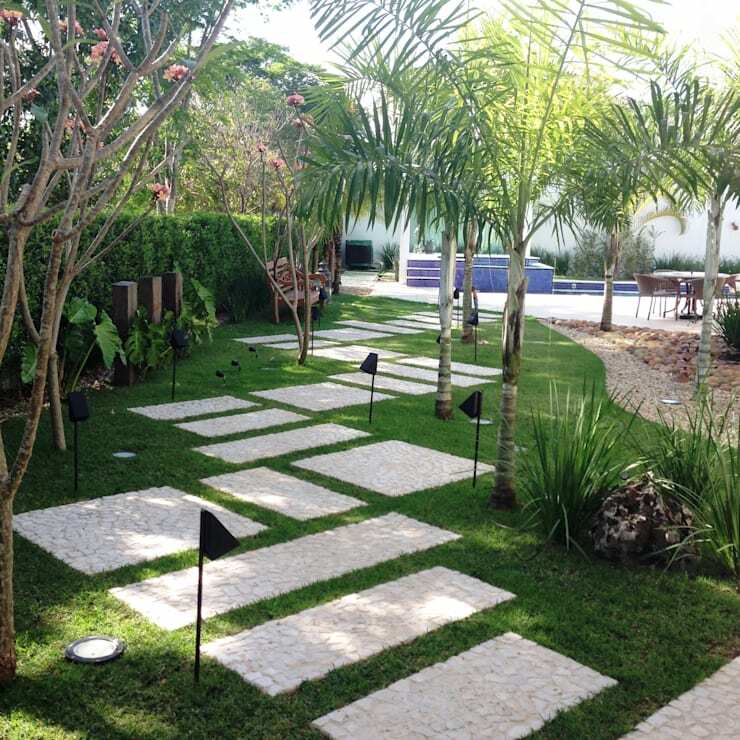 And just like flowers and plants, we are spoiled for choice when it comes to crafting paths: stone and gravel combo, geometric patterns, curvy and natural, tiles with patterns… Opt for the one which you like best and will complement your garden in the best possible way. Nowhere is it written in stone that you shall only make use of the grass and ground for your plants and flowers. 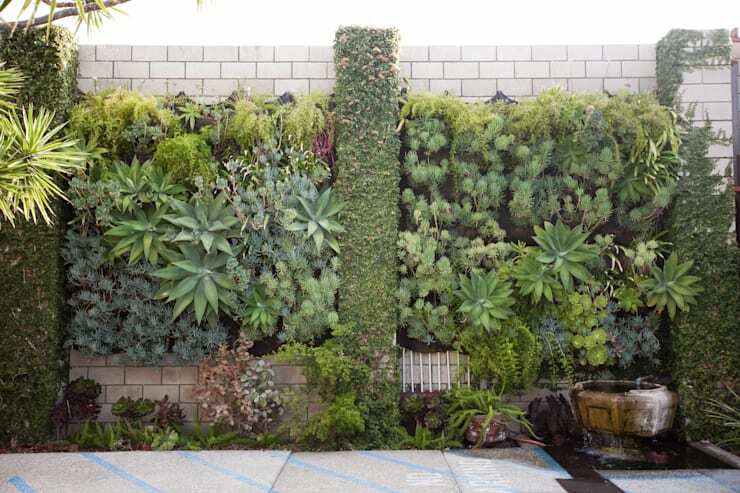 Should you run out of ground space (or just feel the need to do so), then by all means opt for a vertical garden. Just like the name suggests, a vertical garden is when plants are placed vertically instead of horizontally. This can mean a range of choices for you, such as mounting planters to walls or fences, displaying your pot plants on shelves you’ve added to the wall, or opting for free-standing vertical pallets against the fence to house your potted pretties. Vertical gardens are also a great way to hide ugly or damaged walls/fences with a bit of natural beauty, especially when you add some colourful flowers. … and everything in its place. You thought that only applied to your bedroom when you were a child? Opting to keep your different flowers and plants apart (planting roses with roses, daisies with daisies, etc.) makes for a very neat and organised garden look. This can be enhanced even further by adding a garden path in-between those orderly flowerbeds, resulting in a very tidy symmetrical look. Of course we understand that the neat and polished look is not for everybody – some may prefer a more natural and organic look. Each to his own, then! homify hint: A sunflower may look like one large flower, but in reality each head is composed of hundreds of tiny flowers called florets, which ripen to become the seeds. This is true for all plants in the sunflower family, which include asters, daisies, coreopsis (tickseed), goldenrod, yarrow, and bachelor's buttons. If you have the space, why not? 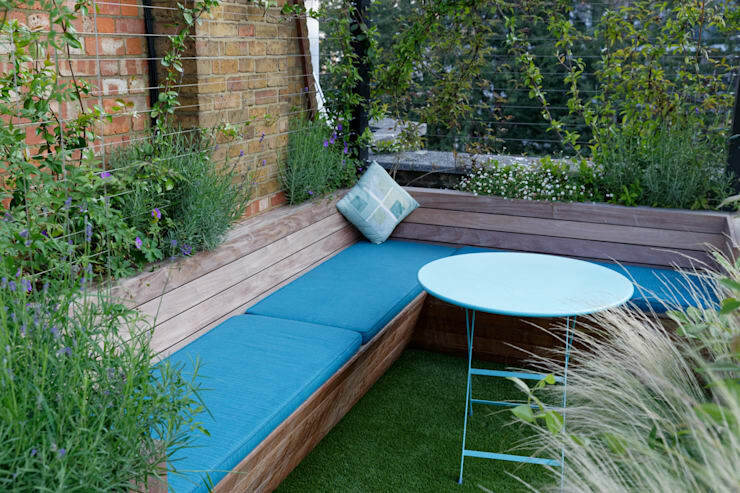 Opt to include a stylish seating spot for you and the friends so you can all enjoy the lush greenery of your garden over a cup of tea / glass of wine. This can be especially welcoming in the warmer months, when we all want to get out and enjoy the fresh air. Whether you want to opt for a simple bench or a complete outdoor dining set is completely up to you. 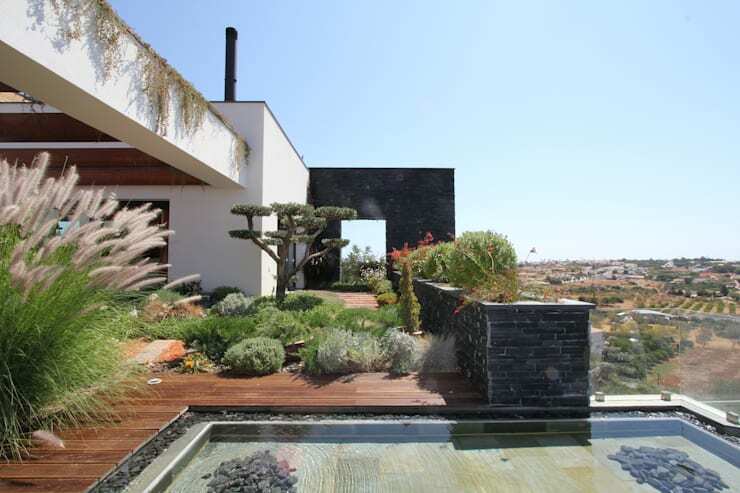 See your available space and be careful that your choice doesn’t result in a cluttered look for your garden. And for shelter from the sun or that unexpected drizzle? You can opt for a stunning parasol that matches your seating’s colour and style. Just ensure that the design of furniture you choose complements your garden’s style (i.e. raw wood for a rustic garden, slim stainless steel for a more modern garden). Not all of us love to spend hours upon hours in the garden. Sure, we want pretty spaces in our backyard, but we don’t want to spend the majority of our free time trimming, snipping and weeding those plants and flowers. Our advice? Opt for plants and flowers that don’t require too much maintenance, but can still look relatively neat and organic without resulting in a jungle-like look. Colourful perennials such as Penstemon (beardtongue) ‘electric blue’ and Gaura Belleza ‘white and pink’ and ground covers like Dymondea Margaritae (silver carpet) and Convolvulus Mauritanicus (ground morning glory) are low-maintenance and require only occasional watering. Mediterranean plants like rosemary and thyme are ideal for our hot sunny weather and will be perfect for mass plantings in beds and borders along pathways. Be sure to discuss your plant- and flower choices with your local nursery, or ask a landscape designer about the best possible ideas for your garden design.